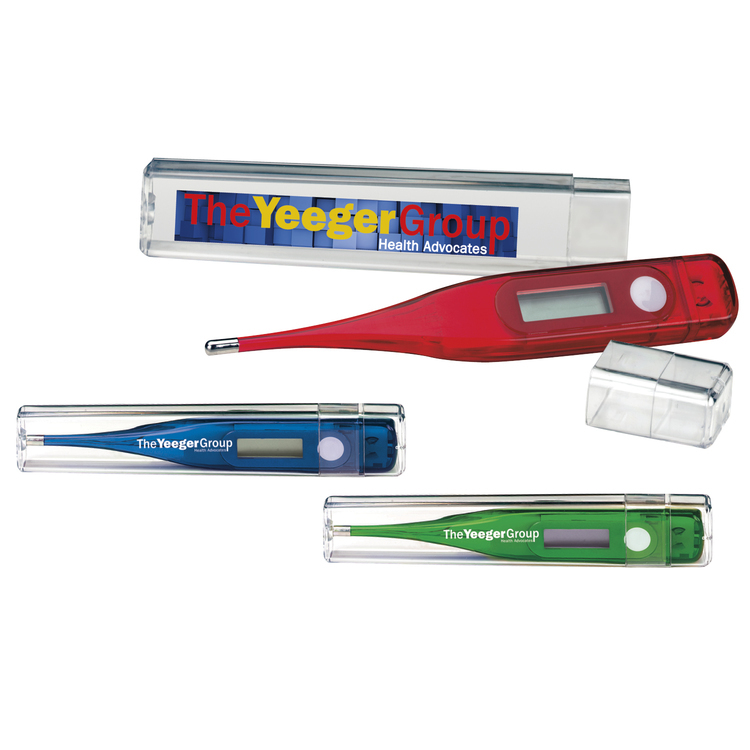 Save the day by selecting this great product for your company's next marketing campaign. This baby fever strip makes a terrific giveaway for nurseries and day cares. 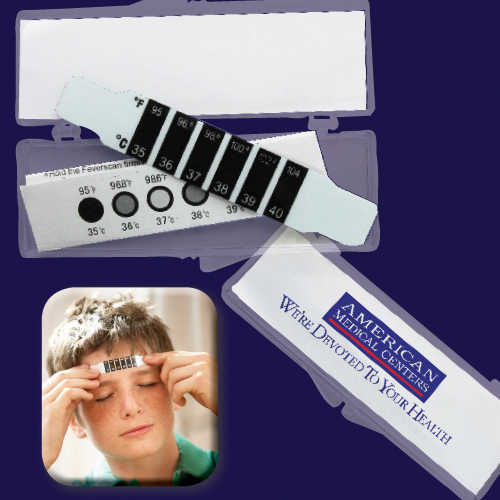 Our child and infant fever strip type thermometer is applied to the forehead for easy temperature monitoring. 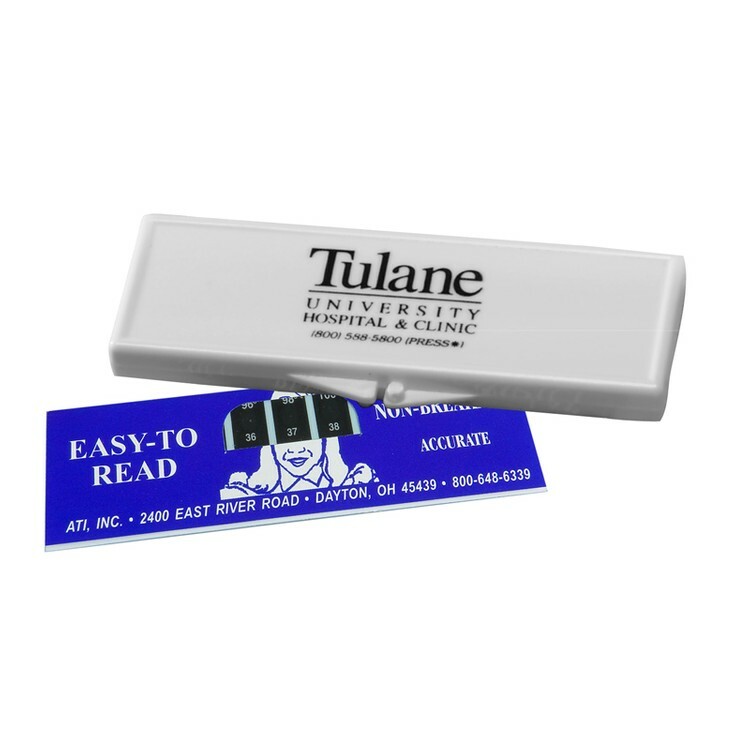 This two sided strip allows imprinting on front and back of the card. 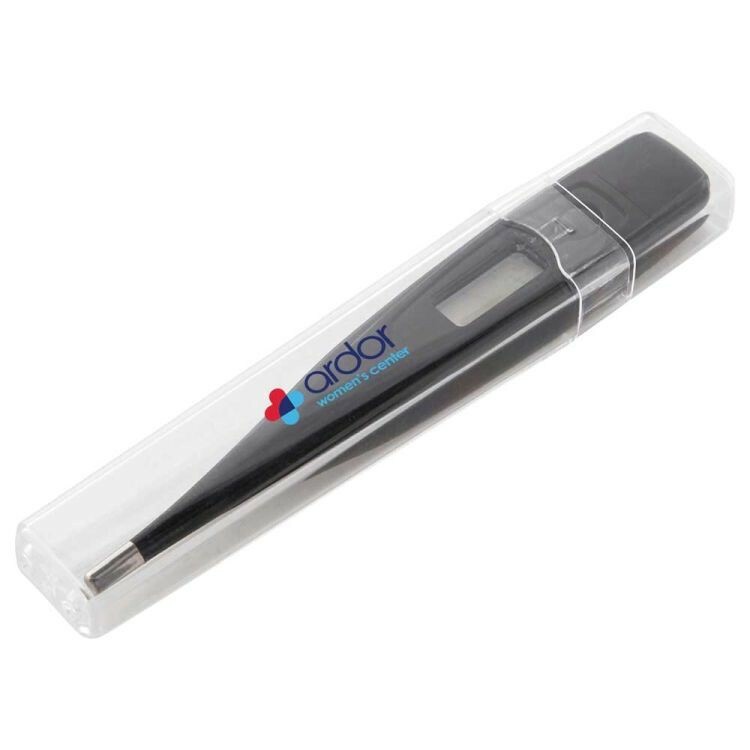 This is a fantastic pick for traveling. Included are instructions and a deluxe clear pouch. 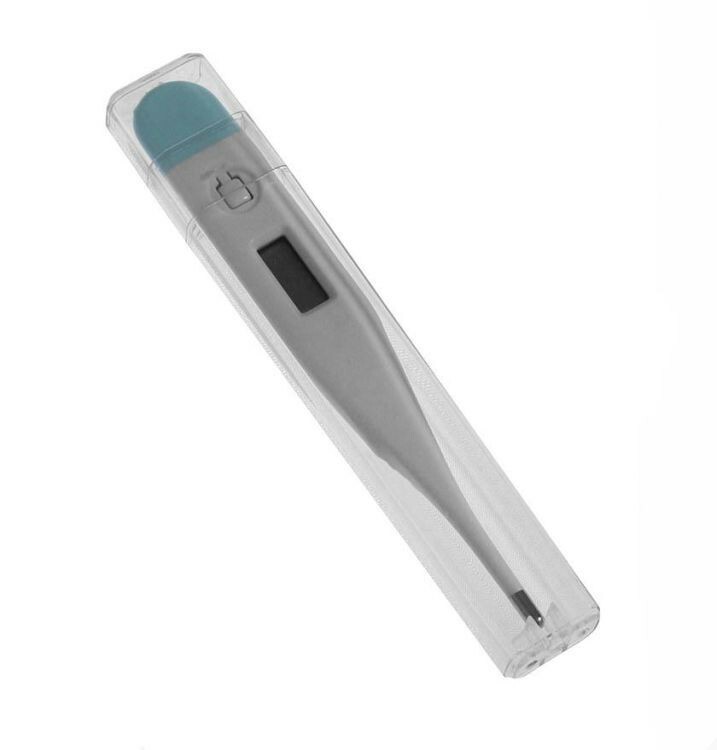 ABS Plastic digital thermometer with easy-to-read LCD display. Comes in clear PC plastic storage case. Digital LCD display. 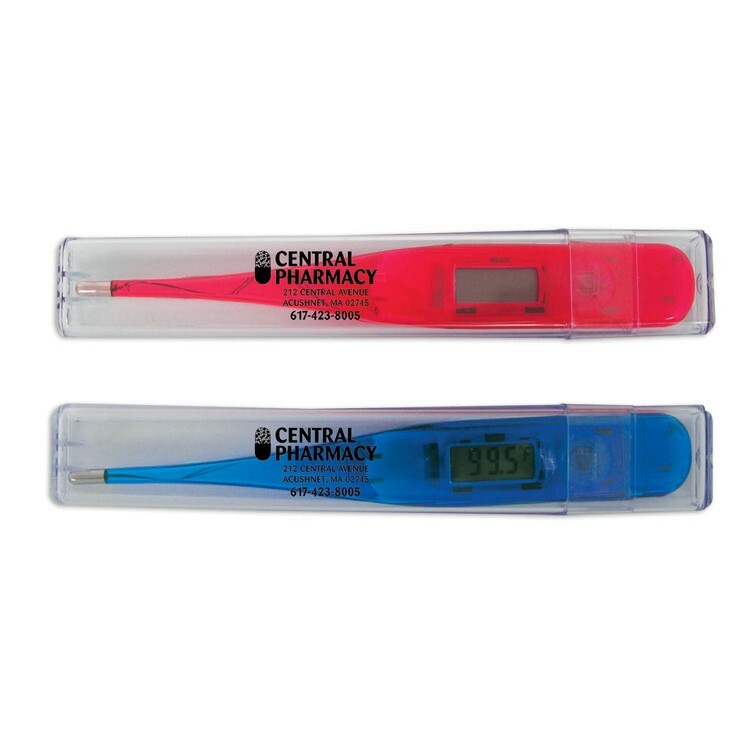 Thermometer measures temperature in Fahrenheit. 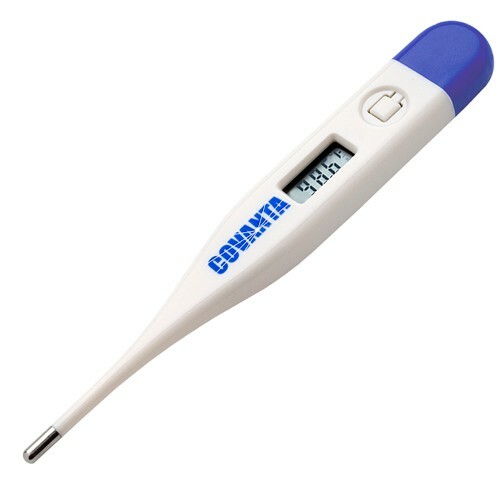 Audio alert when temperature reading complete. Automatic shut-off feature. 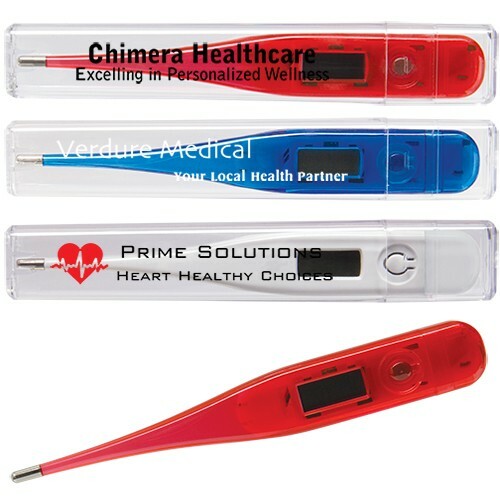 Includes clear, 2-piece protective travel case. Meets FDA requirements. 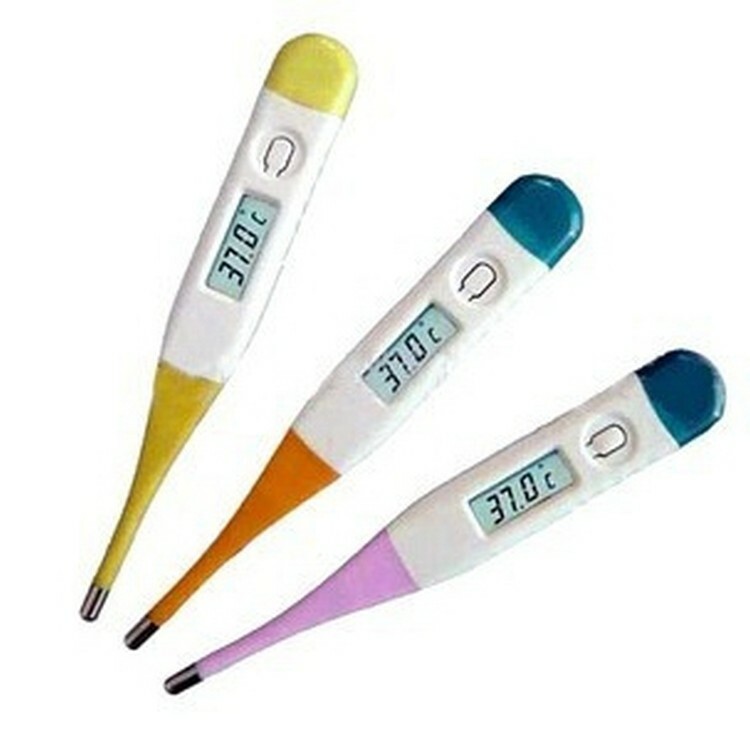 This Cartoon Digital Thermometer is suitable for all families. Works easily and safely. 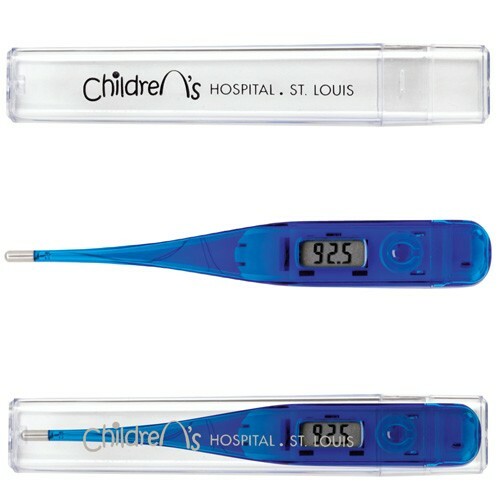 • Plastic digital thermometer in plastic box. • FDA approved. • Price includes PMS match color trim. • Instructions included. 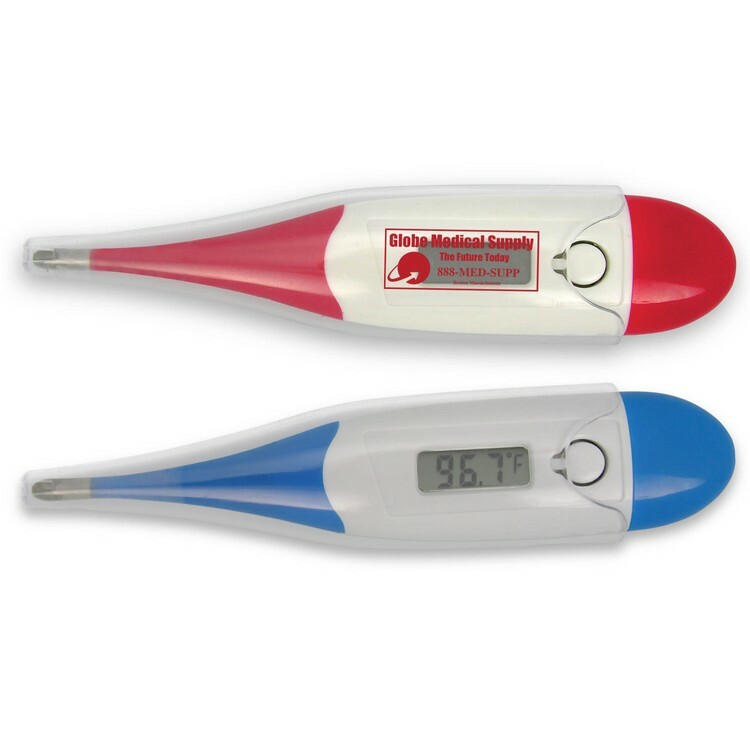 Imprinted plastic box includes reusable forehead thermometer and usage instructions.